The following article was first published in NewMatilda on 30 April 2009. Political satirist PJ O'Rourke was warmly welcomed by conservatives on his recent visit to Australia. That is, until he cracked that joke about how we should open our borders to asylum seekers. The problem with the Right is not that it is at odds with progressives or Democrats. The problem with the Right is that it is at odds with reality. It is at odds with facts, with evidence, with science. And that’s why it has been so dangerous. And that’s why it has been so discredited. That assessment of the Right by former Republican Party partner (and now new-media matriarch) Arianna Huffington before the last US presidential election might easily be applied to Australian conservatives, be they political parties, publications or even think-tanks. But Australian conservatism has a different kind of parochialism to its American equivalent. Our conservatives aren’t just pro-life and pro-war simultaneously, nor are they uniformly anti-science and obsessed with the teaching of "intelligent design" in schools. Our conservatives manifest their parochialism somewhat differently. When they’re not beating their chests about religious and cultural issues, some conservatives prefer to pretend they’re radical by challenging what they see as the new orthodoxy of a nebulous group known as "the Left". The editorial writers for The Australian, that elite bastion of anti-elitism, heralded the arrival of American humorist PJ O’Rourke in an editorial published on 25 April. They claimed that "much of what [O’Rourke] said this week would have upset supporters of the accepted wisdom" in relation to the free market and the role of governments in helping us out of the recession. Unlike Kevin Rudd, and like New Zealand’s PM John Key, O’Rourke understands that "economics is about the way the world is, not the way we want it to be". Janet Albrechtsen, leaping at the opportunity to talk about how clever and witty the Right can be, gleefully cajoled "the hard left of politics" (as in one Margot Saville) to "laugh with us". PJ’s visit is perhaps the first time she’s had a good laugh since her "man of steel" lost the federal election and his own seat, and since US voters elected a man whom Janet’s side of politics doesn’t exactly like. Still, why should I be surprised? I mean, who better than the employees of an American-owned newspaper to toast a visiting American? I myself am not an American, nor am I employed by Americans. Indeed, the only passport I’ve ever held is an Australian one, and I’m not about to give it up even for the pleasure of owning a few US media assets. 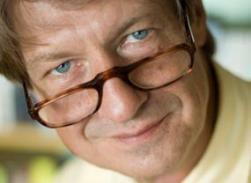 But as a long-time fan of PJ O’Rourke, I also wish to join in the chorus of those having a good chuckle at his gags. However, my aim isn’t to laugh with Janet Albrechtsen and her buddies. Rather, I want to laugh at them. Janet has been among those leading the charge against nasty Afghan, Iraqi and Sri Lankan asylum seekers jumping the invisible (and indeed fictitious) queue and paying people smugglers to transport them to our shores. PJ happily challenged supporters of the accepted conservative wisdom on asylum seekers and miscellaneous dark-skinned riff-raff when he appeared on ABC TV’s Q&A program last Thursday. In what was a very wise and very funny performance, O’Rourke’s analysis on the show about how we should deal with asylum seekers outshone even David Marr’s. You know, we in the States have much, much more experience with being all wrong about immigration than you do. I mean 36,000 you said in Italy? … We laugh. That’s a day in the United States. And we are so wrong about it. I mean, build a fence on the border with Mexico, give a huge boost to the Mexican ladder industry, you know […] the thing is when somebody gets on an exploding boat to come over here - they’re willing to do that to get to Australia - you’re missing out on some really good Australians if you don’t let that person in. Whoa. Whoa. Whoa. You know, if you open your borders, you don’t have people smugglers. Then PJ did something that will probably put him in the bad books of many in Australia’s conservative establishment. He actually suggested Indigenous people might have something to say about all this. I’m not seeing any Aborigines on the panel here. I am not a Comanche or a Sioux. You know, my people came over to the United States in a completely disorganised way. Doubtless by way of people smugglers […] I really believe in immigration … Let them in. Let them in. These people are assets. [O]ne or two of them might not be, but you can sort them out later … Oh, I think conservatives are getting this wrong all over the world, I really do. And when Bishop finally pleaded for an "orderly migration system", O’Rourke wondered whether such a system would have turned back his ancestors. O’Rourke’s commonsense approach may be the kind of feel-good pinko-lefty elitist inner-city nonsense one would expect of the Fairfax/ABC cabal. Still, I couldn’t help but wonder why, when the Australian had so much else to say in support of PJ’s take on the world, that paper didn’t even canvass, let alone champion, PJ’s views on asylum seekers. Weren’t the jokes funny enough? Or is PJ just one of those "moralising elites"? Do Janet and her colleagues lack a sense of humour? Or (to use Huffington’s analysis), are they simply at odds with facts, with evidence and with reality?